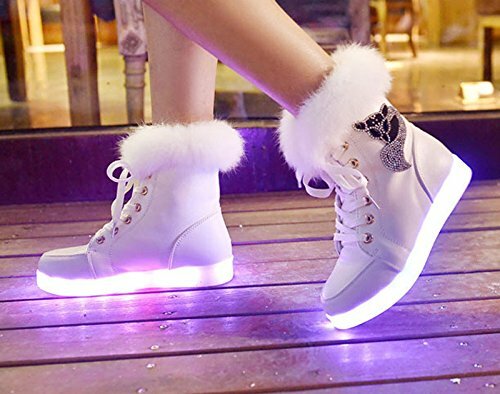 15 Must Have Light Up Shoes. 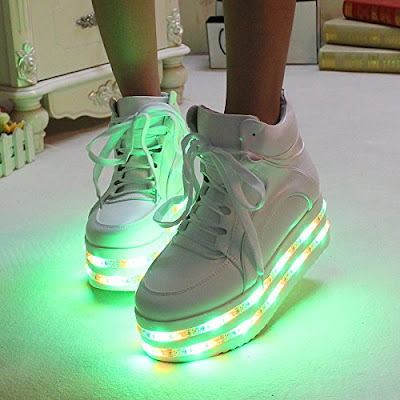 Why opt for some ordinary shoes when you can have these cool light up shoes? 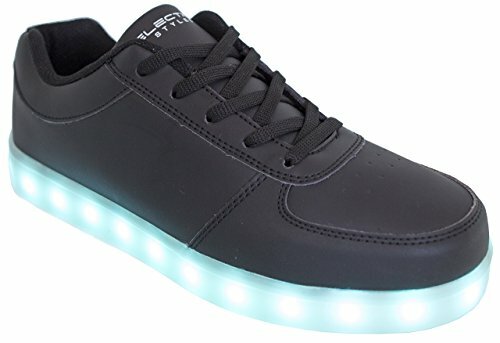 Illumi Lighted Sole Shoes: The Illumi Lighted Sole Shoes are handmade from finest materials and can do over 1000 recharges. Comes with a double-micro USB cable for recharge and a travel shoe bag. Buy Now. 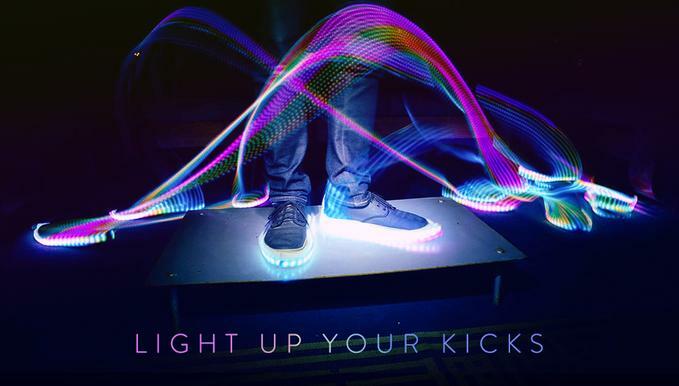 Lightyear App Controlled High Top Light Up Shoes: The Lightyear App Controlled High Top Light Up Shoes lets you take your dance moves to a whole new level. 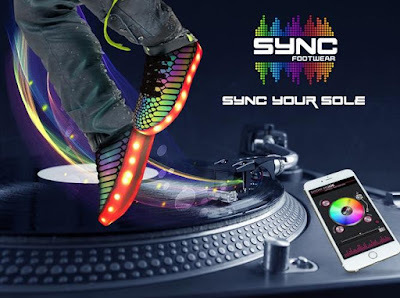 As its app controlled from your smartphone, you can choose from over 256 different colors, create you own pattern, control the speed of your light up shoes and sync them to light up to the tune of your favorite songs. Buy Now. 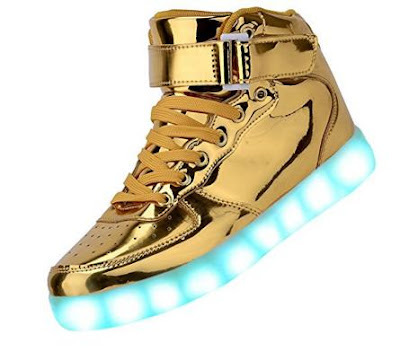 Light Up Shoes: The Light Up Shoes features a hidden on/off switch in the shoe, recharges via USB, and when powered on gives a gorgeous glow. Buy Now. Sync Footwear: The Sync Footwear are app controlled shoes that combine fashion, music and technology. Using its app you can communicate, control and customize your shoes. You can select colors, sync to your music playlist or concert or event and sync the shoes to live music. These shoes are rechargeable and use Bluetooth connectivity. More info. 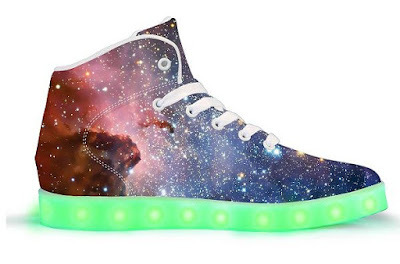 Poppinkicks Women's Dual Light Up Platform Shoes: The Poppinkicks Women's Dual Light Up Platform Shoes features platform that measures approximately 3.00", you can choose between 7 static colors, recharges in 3 hrs and lasts up to 8 hrs of glow time. Buy Now. Orphe: Orphe is a smart-shoes system that features motionsensors and lights that functions both as a customizable lighting system and a musical instrument/audio-visual controller. Buy Now. Back to the Future 2 Light Up Shoes: Remember the shoes from the movie Back to the Future Part II? 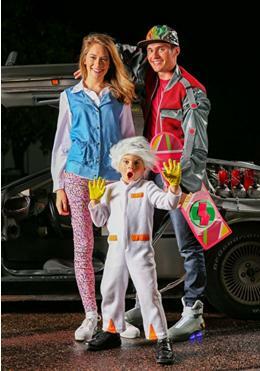 The Back to the Future 2 Light Up Shoes light up on one side like in the movie. Buy Now. Blinky Shoes: Blinky Shoes makes your shoes light up in bright, beautiful patterns and with your every step, a wave of light spreads out from the point where your foot touches the ground. It uses an accelerometer to sense the strength of your steps, the harder you step, the more energetic the pattern gets. Buy Now. 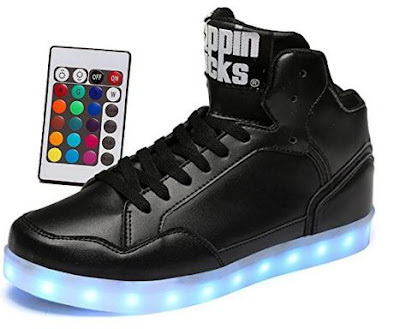 Poppinkicks Light Up Shoes With Remote Control: The Poppinkicks Light Up Shoes With Remote Control gives you 7 static colors and various color changing modes. 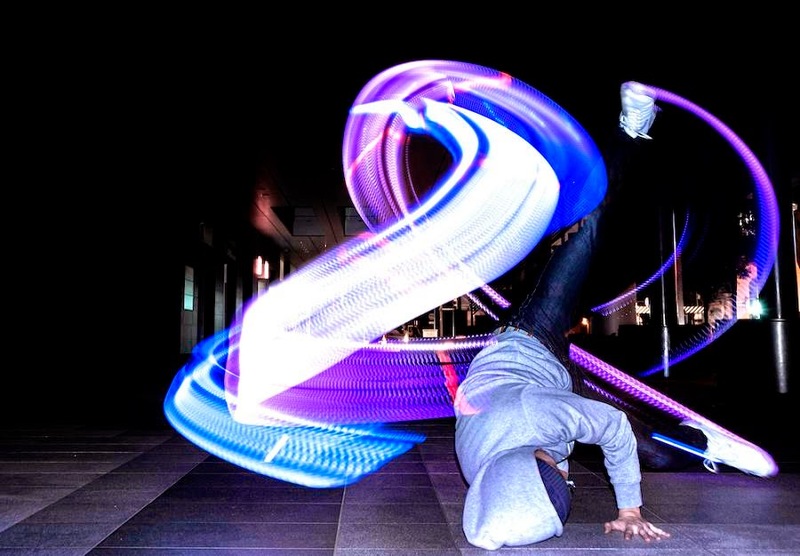 You can control your lighting using its remote or the hidden button inside the shoes. Buy Now. 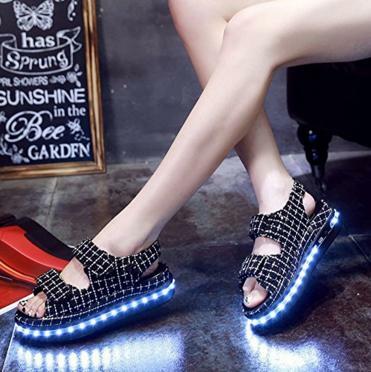 Bininbox Women's Night Light Sandals Shoes: The Bininbox Women's Night Light Sandals Shoes features a hidden switch near the USB port, just press the switch to light up and give super bright white color light. Buy Now. Bininbox Women's Winter Warm Light up Shoes: These cool shoes keeps your feet warm while lighting up. Recharges in about 2-3 hour's and goes on for about 8-10 hours. Buy Now. 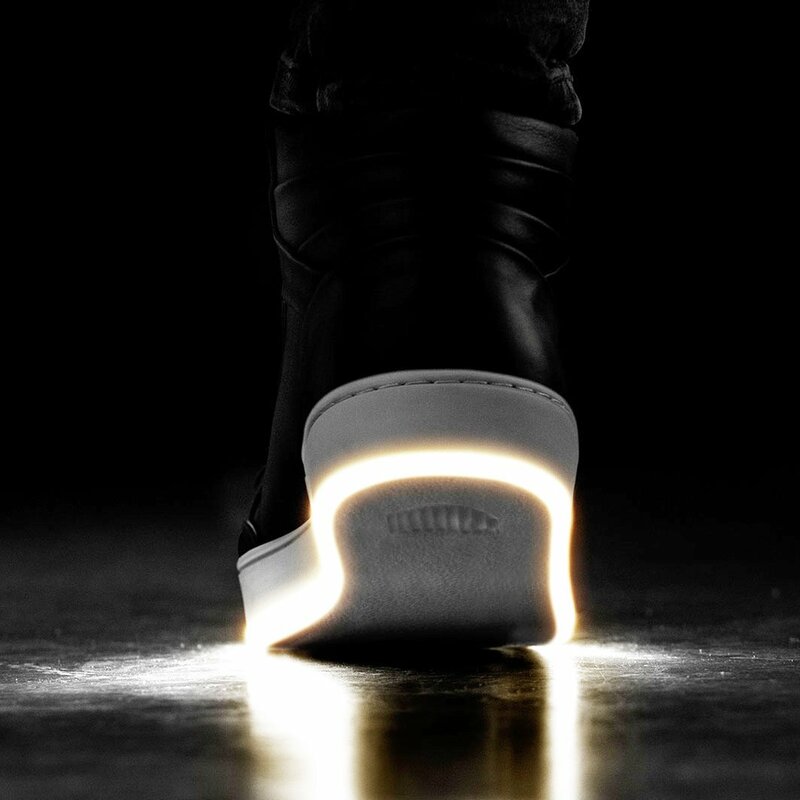 Light up Shoes: These cool Light Up Shoes come from Hoverkicks. Buy Now. Electric Styles Light Up Shoes: The Electric Styles Light Up Shoes gives you 7 static colors and 5 color changing options to choose from, these are USB rechargeable and last up to 6 hours of glow time. Buy Now. 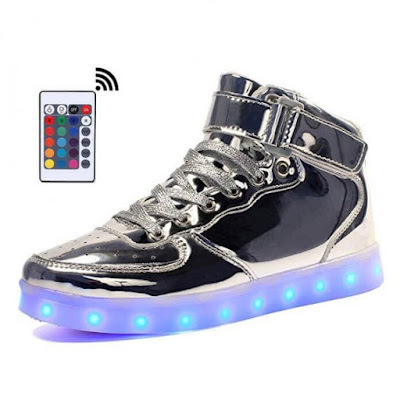 Bright Women Light Up Shoes: The Bright Women Light Up Shoes comes with a remote, gives you 7 colors and 11 changing options to choose from, are USB rechargeable and lasts up to 6 hours of glow time. Buy Now. 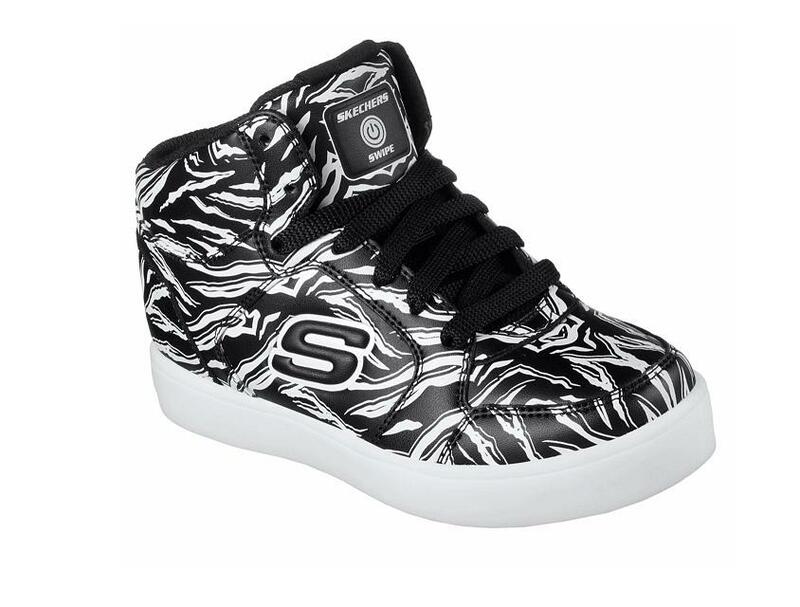 Skechers S Lights: The Skechers S Lights features smooth textured leather with special glow in the dark technology, gives you 9 changing options to choose from, is USB rechargeable, and lasts up to 5- 6 hours of glow time. Buy Now. 15 Must Have Feather Inspired Products. 15 Must Have Car Gadgets. 15 Must Have Gadgets For Your Kitchen Garden. 15 Must Have R2 Q5 Themed Gadgets. 15 Must Have Kitchen Gadgets. 15 Must Have Paper Towel Holders. 15 Must Have Keyring Tools. 15 Must Have Animal Themed Products. 15 Cool Food Themed Products. 15 Fun Products for Everyday Life. 15 Must Have Cups For Your Coffee And Tea. 15 Must Have Earrings for You. 15 Must Have Beanies For You. 15 Must Have Ninja Themed Products. 15 Cool Mustache Themed Products. 15 Cool Octopus Themed Products. 15 Cool Fish Themed Products. 15 Coolest Scuba Themed Products. 15 Must Have Cardboard Products For You.